You don’t just need an all-in-one security – you need an effective one. The one that actually stops hackers. Your websites and your Linux web servers are the lifeblood of your business and that’s why you need to protect them from all kinds of digital attacks. 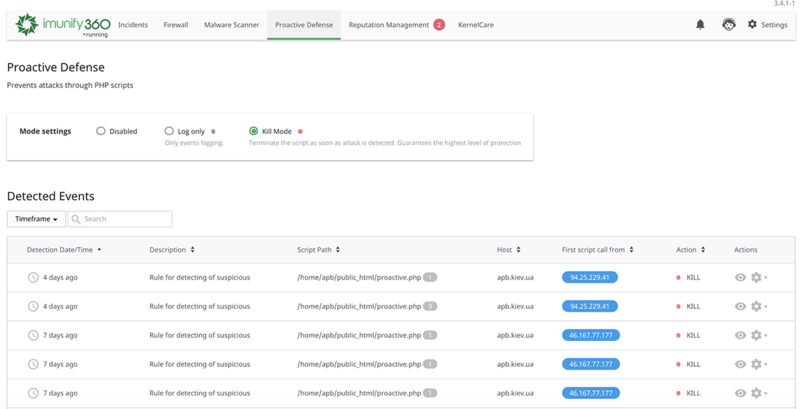 Imunify360 is an automated security solution, powered by AI and Proactive Defense, that will protect your web servers from infections, maintain secure kernels, and keep you in the know with relevant information. Note: Imunify360 License can only be purchased from us together with VPS, Dedicated Server or Server Management service. 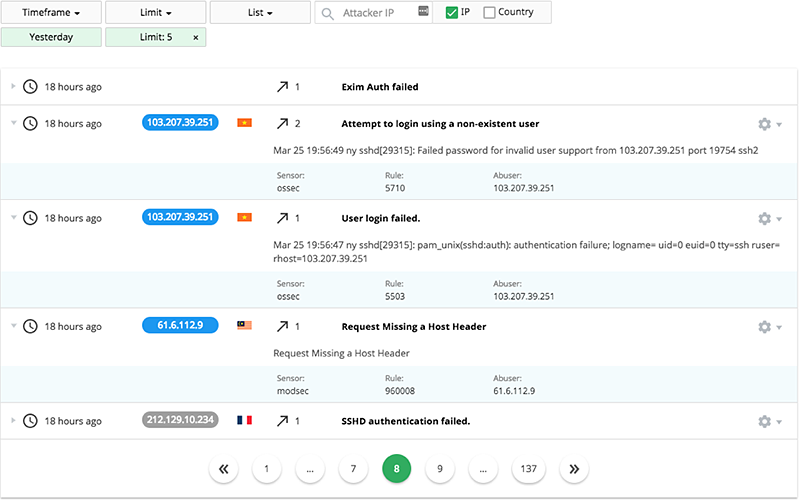 A central dashboard is available directly within your control panel*, allowing you to quickly check in on the overall state of your server and manage all aspects of its security. The central dashboard displays all security events and the latest incidents updated every 60 seconds. It allows you to filter and select events based on various parameters, review the details of those incidents, access white list and black list management features, view settings and reports, and much more. Imunify360 offers advanced firewall protection that uses herd immunity and artificial intelligence to detect new threats and protect all servers that run the software. The firewall is capable of defending against brute force attacks, DoS attacks, and port scans. More than 52% of hosting providers say that remote exploit is a top issue for their customers’ web servers. With IDS and IPS in Imunify360, you will be protected from inside out and outside in. The Intrusion Detection System (IDS) provides excellent visibility of server security by monitoring server logs. 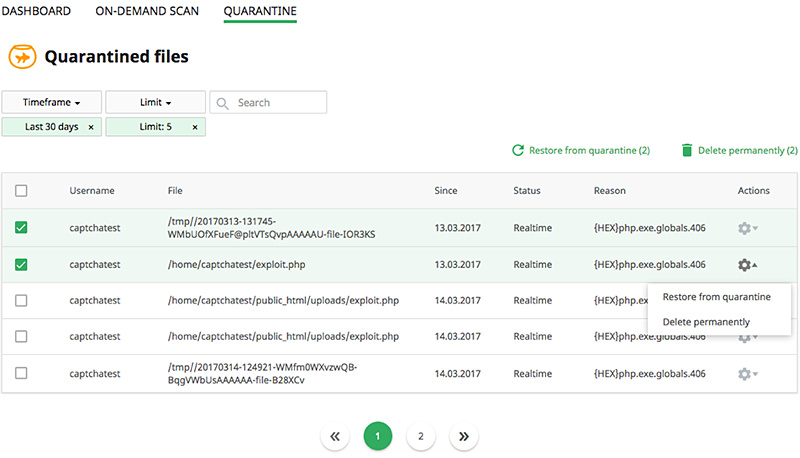 It scans log files from all different angles and bans IPs that show malicious signs, such as password failures, potential exploits, etc. It helps protect your server from attacks and reports to the Imunify360 dashboard. Imunify360’s Proactive Defense (previously known as Sandboxing) protects websites against zero-day attacks – it stops even the malware that no scanner is able to detect. It identifies attacks on your Linux web servers in real time, then blocks potentially malicious executions automatically and with zero latency. Proactive Defense uses a unique method of identifying security risks – it analyzes what scripts do rather than what is actually in the code. 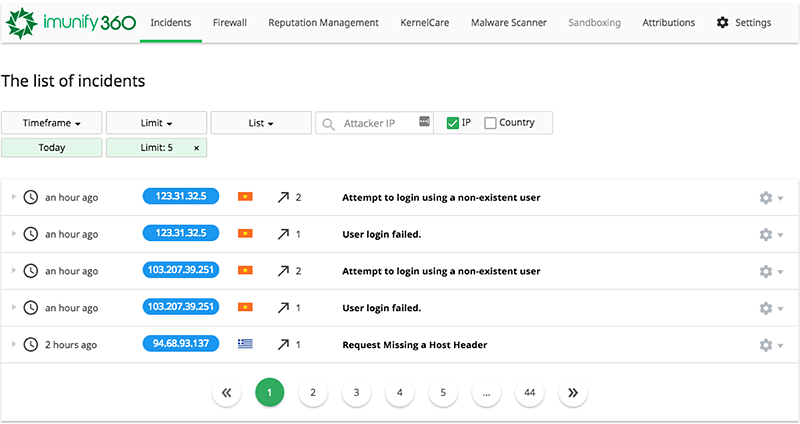 Rebootless Secure Kernel powered by KernelCare is a component that keeps your server secure by automatically patching kernels without having to reboot the server. Its agent checks for new patches every four hours and automatically applies them to the running server without any performance impact. 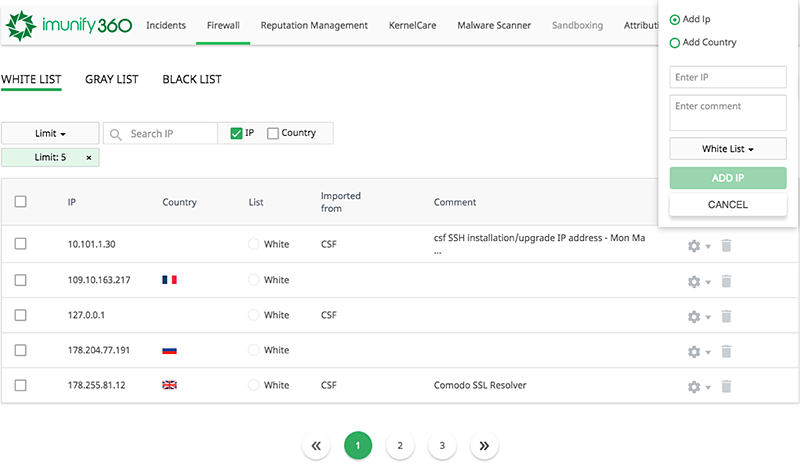 KernelCare keeps your kernel updated to help you avoid disastrous incidents. Hardened PHP is a component that ensures your web server security by patching all PHP versions against known vulnerabilities, allowing you to run any version of PHP without having to update programs to accommodate newer versions. Currently works for domains only, full feature coming soon.